Seller will give you a gift certificate in the amount of 4,4551 RUB for a positive review of the product purchased. 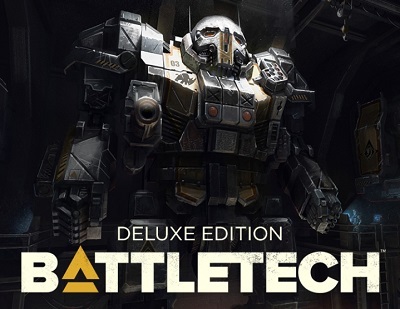 From the creator of the original game BATTLETECH / MechWarrior Jordan Weisman and the developers of the award-winning Shadowrun Returns series comes the next generation of turn-based tactical fights. 3025 year. The galaxy is engulfed by a cyclical endless war in which noble houses are fought with the help of huge mechanical combat vehicles, called combat furs. Take control of your own mercenaries-furs and their mehvoin pilots and try to stay afloat in a brutal interstellar civil war. Improve your operational base, contract with feudal rulers, repair and maintain your fleet of aging furs and implement devastating fighting tactics to defeat your enemies on the battlefield. Seller will give you a gift certificate in the amount of 4,4551 RUB for a positive review of the product purchased..